Skibbereen Heritage Centre is situated in the Old Gasworks Building on the banks of the River Ilen. The Skibbereen Gas Light and Coke Company was created by a group of local businessmen in December 1866. Local people brought shares to fund the company and construction began in May 1867. 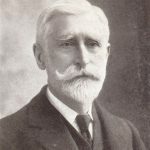 One of the contractors, William Martin Murphy of Bantry, then aged 22, went on to build a commercial empire and win a degree of notoriety for his part in the Great Dublin Lockout of 1913. The gasworks used coal for the next 55 years. Boats called coasters brought the coal from Britain to the port of Baltimore. It was loaded into smaller river boats called lighters, and brought upriver to the gasworks. The coke and coal tar by-products were shipped back down the river and sold. In 1922 the company converted to electricity and became the Skibbereen Electric Light Company. The national electricity supplier (ESB) later took over the local business and the gasworks were abandoned. The site was bought by the Southern Star newspaper and part used as an office and store for a period. 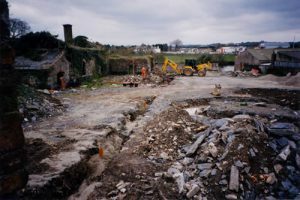 The original gasworks building fell into disuse and the buildings were roofless and in a derelict condition when work to resurrect the site as the Skibbereen Heritage Centre began in September 1999. OPW architects oversaw the sensitive restoration of the building which subsequently gained the architect, Ciarán O’Connor, an RIAI award.